Great finish! I'm sure it'll be cherished! very pretty. I like the crazy patch border. Think I might have to do one like it soon. Thanks for sharing. Love your baby quilt, what a treasure!!! Lovely. 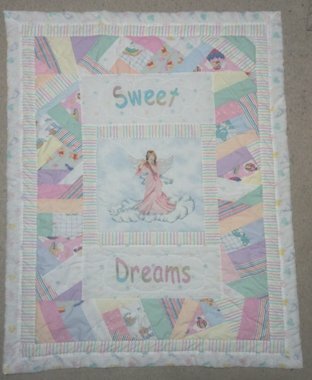 my mom and I are going to work on a few baby quilts this year. Me, for long in the future grandkids and her for the possible great grand children as you never know when they might arrive.